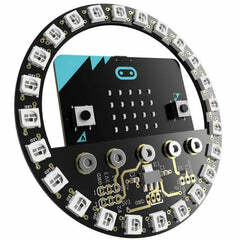 The gamer:bit connects to the micro:bit via an edge connector in the center of the board, making setup easy. 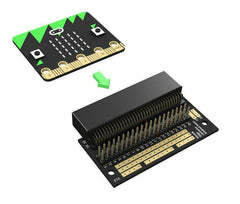 This creates a handy way to swap out micro:bits for programming, while still providing reliable connections to all of the different pins on the micro:bit. We have also included several poke home connectors on the back of the board that correspond to each button on the gamer:bit, allowing you to use external parts to control your game! Note: The SparkFun gamer:bit does NOT include a micro:bit board. 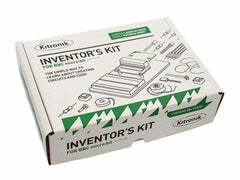 The micro:bit will need to be purchased separately.